What can elevate a visit to an art gallery from being merely interesting, to exciting and wonderful? Imagine walking into a room and recognizing a painting that you’ve seen in a book - a real painting, in its full splendor – wouldn’t that be an absolute delight? The Katie series is a lovely introduction to art, and makes art appealing to young children. These books make a visit to an art gallery a fun adventure! Rain makes Katie and her grandma find an alternative to gardening. The museum it is! Katie discovers she can reach in and touch the flowers in van Gogh’s Sunflowers. In trying to get some seeds, she knocks over the vase. That sets off a chain of events. Soon enough, we have two girls and a dog, Zazou, pop out of Paul Gaugin’s Breton Girls Dancing. The four-some climb into and out of paintings. Amid the chaos and madcap fun, we are introduced to Sunflowers, Café Terrace at Night, Breton Girls Dancing, Tahitian Pastorals and Still life with Apples and Oranges. Chasing Zazou who has snatched the sunflowers, the girls bump into café tables, sending plates flying. Trying to escape an angry waiter, they tip over bowls of fruit. All of this happens at the museum, with people tumbling out of frames! Vincent’s Chair, The Starry Night, van Gogh’s self-portrait and Wheatfields can be spotted in the background. Young readers have taken in masterpieces by Vincent van Gogh, Paul Gaugin and Paul Cézanne without even knowing it! The afterword tells us where we can see the paintings reproduced in the book, along with a brief introduction to each of the three postimpressionist masters featured. The resident five-year old finds it most interesting that it took Cézanne a long time to paint a picture. That meant if he painted people, they had to sit still for many days. It was easier to paint still lifes and landscapes. Other books in the series that we enjoyed are ‘Katie and The Mona Lisa’, ‘Katie Meets The Impressionists’ and ‘Katie's Sunday Afternoon’. The books reminded me ofTulika’s Looking at Art series reviewed here. The Katie books deal with three masters in each book, unlike the Tulikas with a book devoted to an artist. The Katie series, therefore, does not go into as much detail about an artist or his work, but a great introduction to art, nonetheless, and judging by the reception from the five-year old – these books work splendidly with the intended audience. It is these books that made our visit to the National Gallery of Art, Washington D.C an experience to cherish. Co-published by the Metropolitan Museum of Art, this series contains a biography of the artist, photographs of all major works, an analysis of paintings and insight into the artist’s technique. The ‘What Makes a…’ series features Raphael, Rembrandt, Bruegel, Leonardo, Cassatt, Goya, Degas, Monet, Picasso and Vincent van Gogh. The series is suitable for all ages; I read out excerpts from the books to the five year-old, as we studied the reproductions of the artists’ work. What makes a van Gogh a van Gogh was his favorite in the series (and mine! ), with the one on Degas being a close contender. Thanks to these books we learnt about each artist’s style, work, and life. We’d also pored over a couple of other series - books from Anholt’s series and Mike Venezia’s ‘Getting to know…’ series reviewed here. Bijou Le Tord's ‘A Bird or Two’ about Henri Matisse’s time in Nice and how it influenced his style, talks about what motivated him to paint. A tribute to Henri Matisse, the book captures Matisse’s spirit but doesn’t go into details about his works or life. What it does, though, is inspire. And for that, it is definitely worth a read. He said "I am strong because I do what is in my mind." 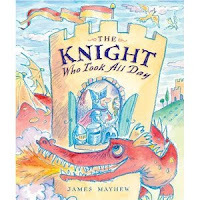 "What I had to do, I did the best I could"
James Mayhew’s humorous take on the story of St. George and the Dragon is not really a book about art, but it did lead to an art adventure. The five year-old walked into a room in the National Gallery of Art, and exclaimed “Hey! I know this painting”. The painting in question was a Renaissance masterpiece - Raphael’s St. George and the Dragon. That’s not the only reason I think it rocks. 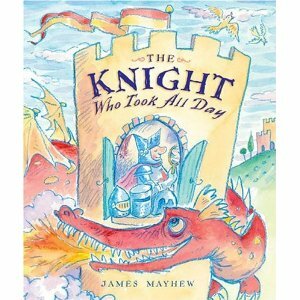 A pompous knight who is more interested in appearances than action is left in the lurch by a quick-witted princess who takes matters into her own hands. Tired of waiting, she tames the fire-breathing dragon herself! I would’ve liked it more if the story had ended there, and not with the princess marrying the vain knight’s squire. Oh well, I’m glad she didn’t wait for the knight to rescue her and end up marrying him! Have used 'Katie and the British Artists' on many trips to the National Gallery in London. The book and the gallery are inextricably linked together for us. In fact bought the entire Katie set together and think it is one of the best spends I have done. They Have triggered original stories on our trips to the NGMA here too - Mayhew would be proud! Have seen the last one, a similar but different book that P might enjoy is George and the Dragon by Christopher Wormell. And the other two - Van Gogh and Matisse sound interesting. Will keep an eye o two peeled, thanks! Hi. wonderful books and great review. Its great to have such beautiful books to introduce art to kids. Thanks for introducing. Any idea where can one find these books in Bangalore? So are the others, but they cost a fortune :( Blossom and other second hand book stores, the book fair - you might get lucky. I buy books on amazon and have them shipped to family in the U.S. to carry with them when they are visiting. 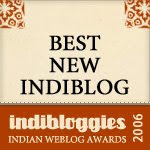 Bangalore ST folks - Any other places? The Tulika Looking at Art series is a must-have IMO, easily available too. Katie books are available in Landmark. Thanks arundhati & choxbox. Will keep an eye open. @Arundhati: Forgot to mention - we have a wonderful treasure hunt/puzzles booklet from our visit to the Van Gogh Museum in Amsterdam recently. Do feel free to borrow it, am sure the 5-year old will love it. Oh and I see that Katie on Sunday Afternoon is the US edition of Katie and the Bathers. Seurat's huge painting of the bathers is indeed incredible in real, and the effect was even more on my young art-appreciators thanks to the book. What a wonderful tale Mayhew has spun and how well he has explained the technique of Pointillism!